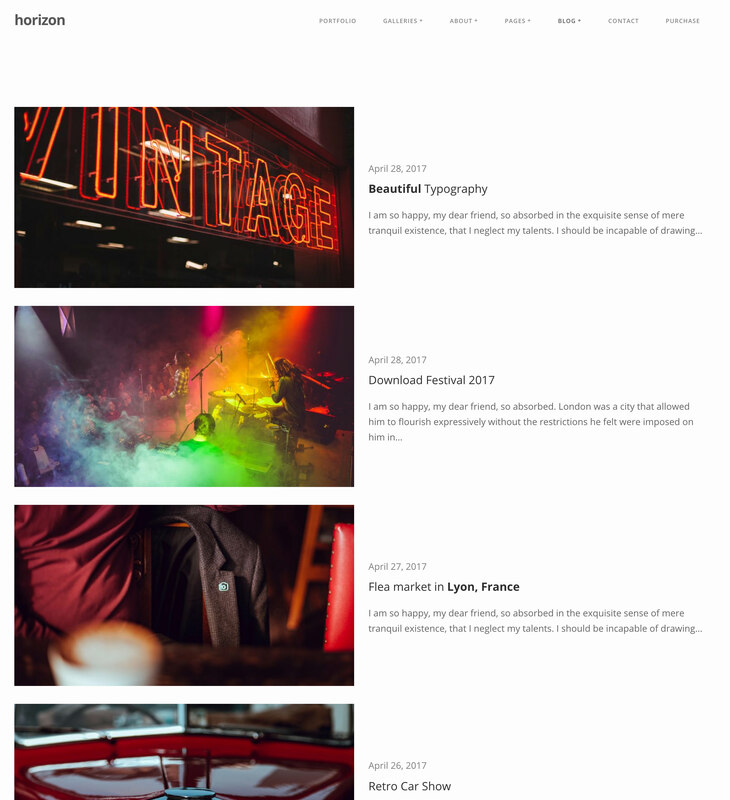 Horizon photography theme for WordPress is a modern, vibrant, and bold portfolio website design for photographers and creatives. It’s highly image-centered, comes with beautiful typography and layout designs and has both horizontal and vertical scroll functionality. 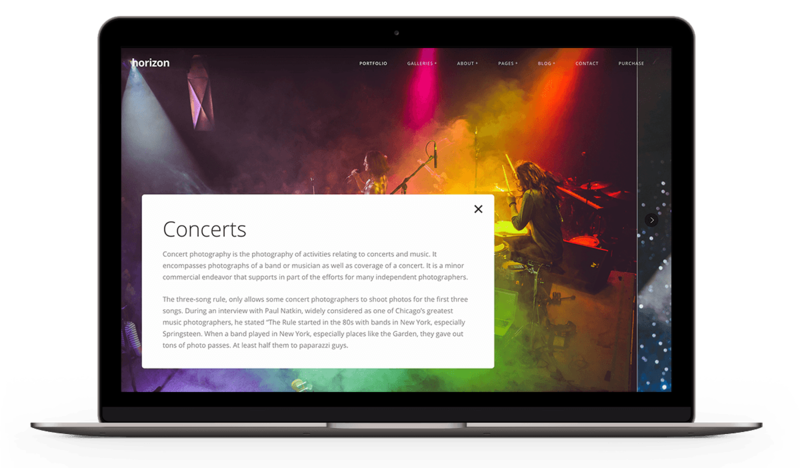 Horizon’s main features include a horizontally scrolling portfolio with images that fill the screen from top to bottom, image-based custom page templates, multiple blog layouts, services & testimonials pages. 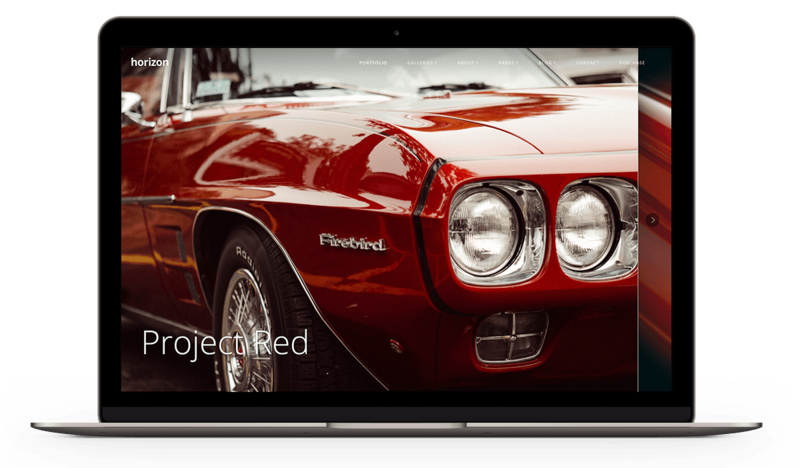 A portfolio that makes your images the center of attention. Since Horizon WordPress theme is a portfolio website design, we took special care when designing the portfolio page. 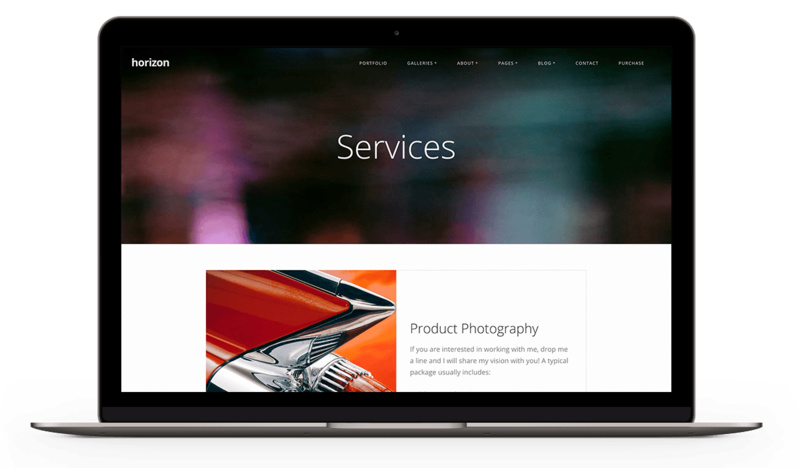 Horizon’s portfolio is horizontally scrolling and fills the screen from top to bottom with your images and is based on our “Easy Photography Portfolio” WordPress plugin. 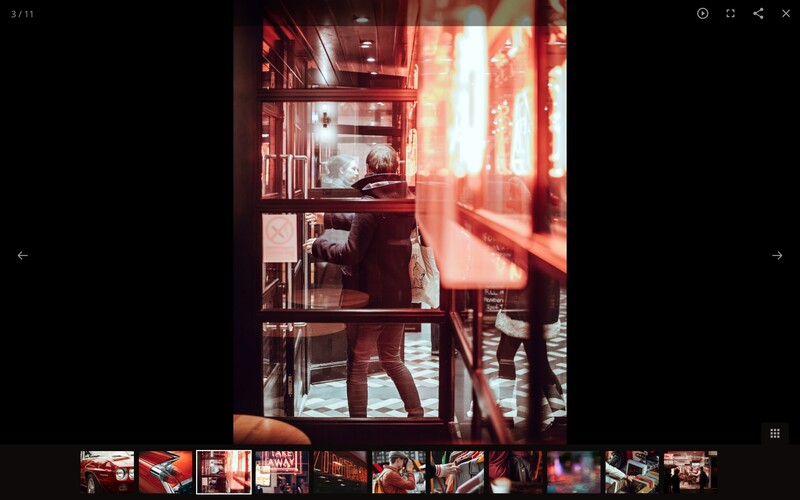 When you open up a gallery, all gallery images are displayed within a smooth scrolling, fast loading image strip. Horizon gives you the option to add a description for your gallery as well, so you can describe what the viewer is about to see. 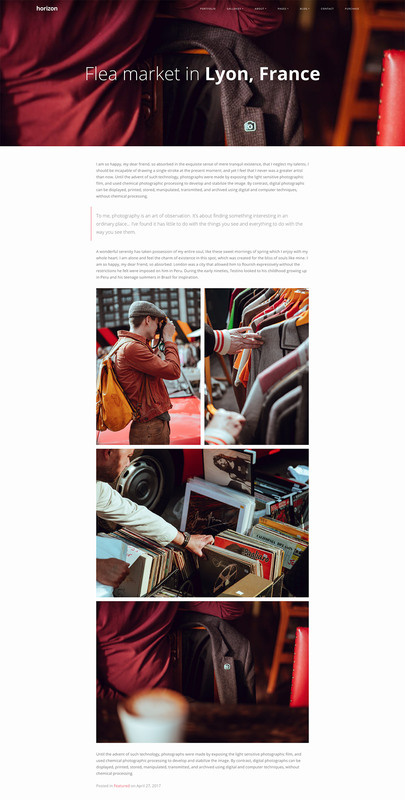 If you want to see any image from the gallery in more detail, simply click on an image and it will open in a pop-up gallery with thumbnails, auto-play slider, and social share options. 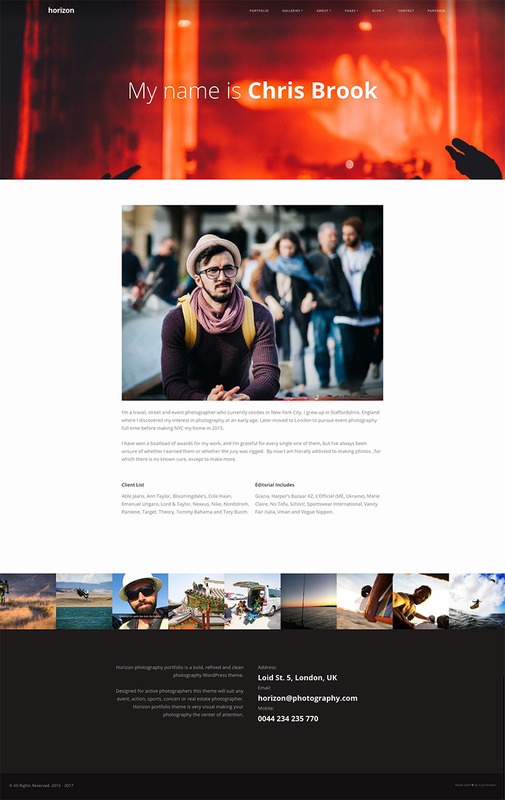 Make your pages look unique and interesting by using Horizon’s pre-made page templates. 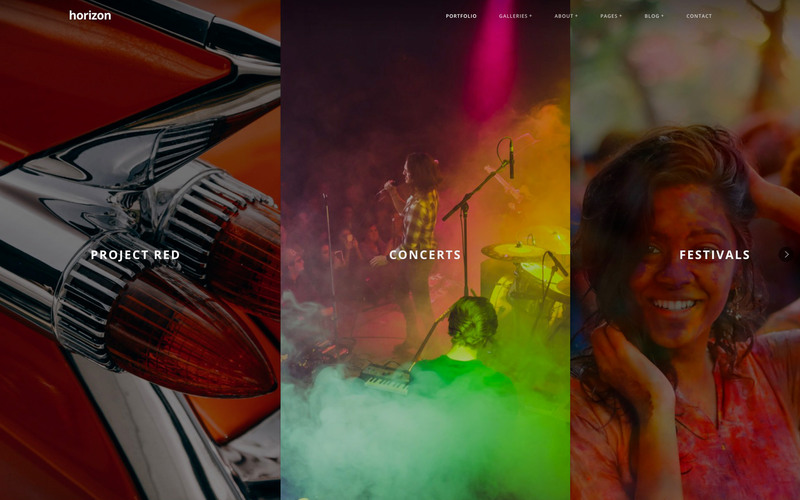 You will have a choice between three page templates – template with featured image on the left side, a template with featured image on top and template without a featured image. Choose a blog layout that works for you. 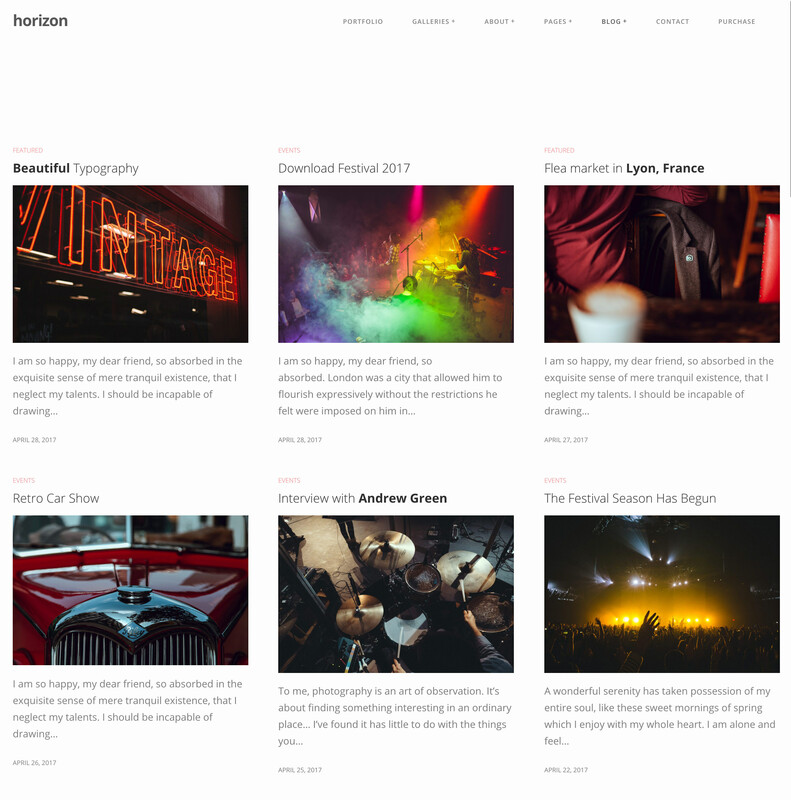 Horizon photography theme comes with three different blog archive layouts – modern, classic and masonry. Choose the one that works best for your posts. With Horizon you can easily add image galleries directly in your posts just with a few clicks. 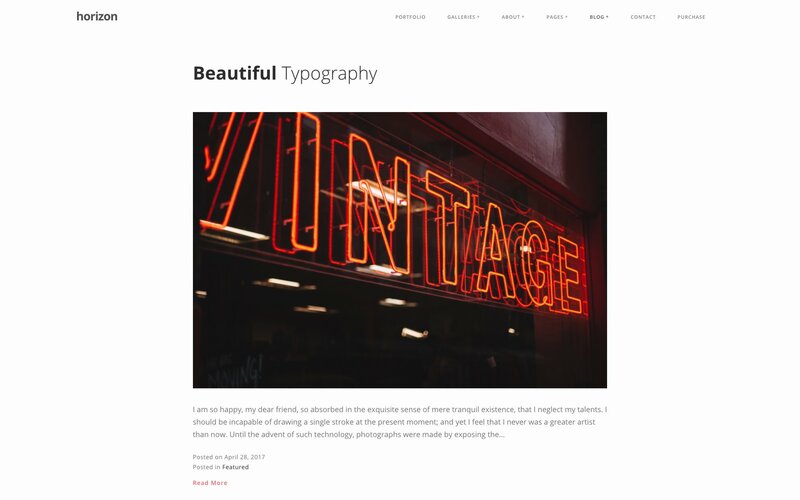 Your posts will look beautiful and will be a pleasure to read with Horizon’s hand picked and tested typography choices. Elegantly display your client testimonials and services by using Horizon’s pre-made block templates. 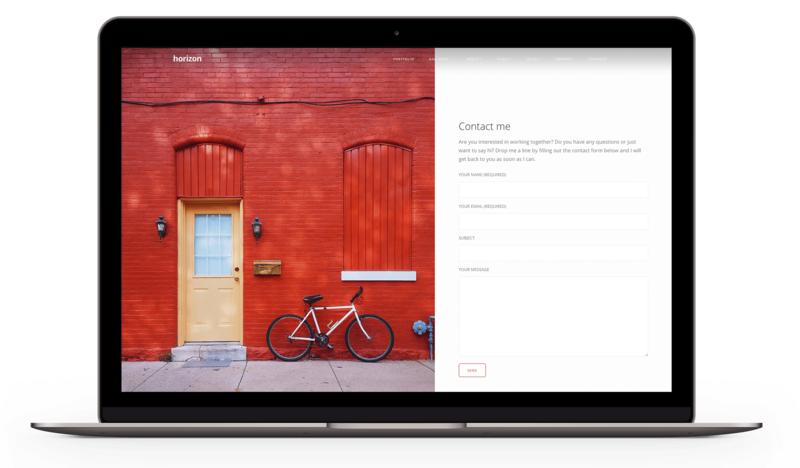 Horizon Portfolio is a professional photography theme, designed to be highly intuitive, easy to set up and manage. 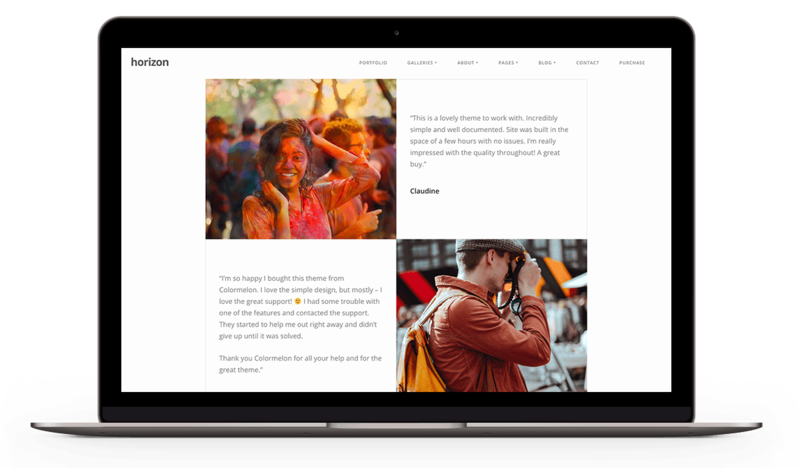 Designed for photographers, not web developers this theme is simple to use, comes with 1-click demo install to get you started fast and like all our themes it is well documented and supported. Check out Horizon theme demo now!